Paradigm shift or slow dawning? 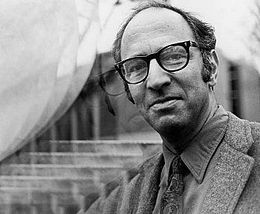 I have an article in The Irish Times today concerning the view of scientific progress articulated by Thomas Kuhn. The main point I try to make is that Kuhn’s famous idea of the paradigm shift in science is much more popular with non-scientists than with the boffins themselves. Not because “Well, they would think that, wouldn’t they?” (Thank you, Christine), but because many of the examples cited by Kuhn in his influential book dated from antiquity rather than from modern science. In particular, those scientists who read Kuhn notice that he paid very little attention to the manner in which false data tends to be quickly exposed by rival experimentalists, or to the way modern theorists tend to consider data in the context of all possible models. Most importantly, scientists studying the history of their own area typically find that scientific ‘revolutions’ tend to occur as extremely slow processes of discovery and acceptance – more a slow dawning than a paradigm shift. Indeed, they are really only paradigm shifts in retrospect. You can read the Irish Times article here, and I have an older post on Kuhn from my Harvard days here (there is also a good discussion below that post). Comments Off on Paradigm shift or slow dawning?